Now that's what I call a smile!! As soon as I saw pictures of Handsome Hudson I could instantly see his mischievous yet loveable character. 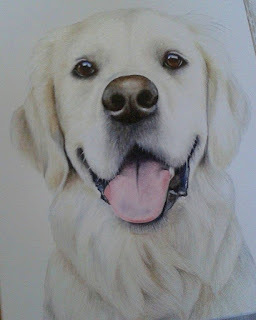 Something that's so important with a pet portrait is to convey the pet's character, it may sound simple but it's the most essential part of the finished painting. 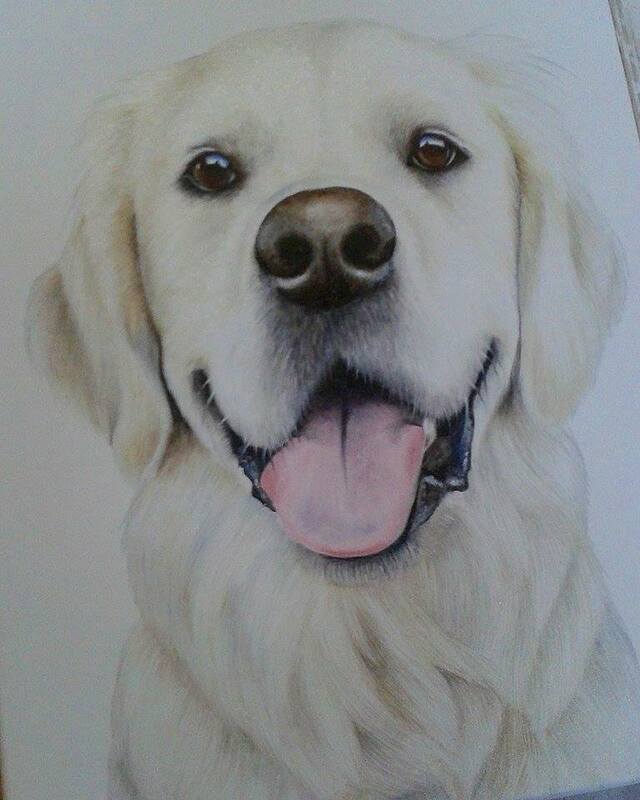 It's always lovely to understand more about someone's pet before I paint them, it's not always possible to meet them so the more I can hear from the customer about their loving family member the better.